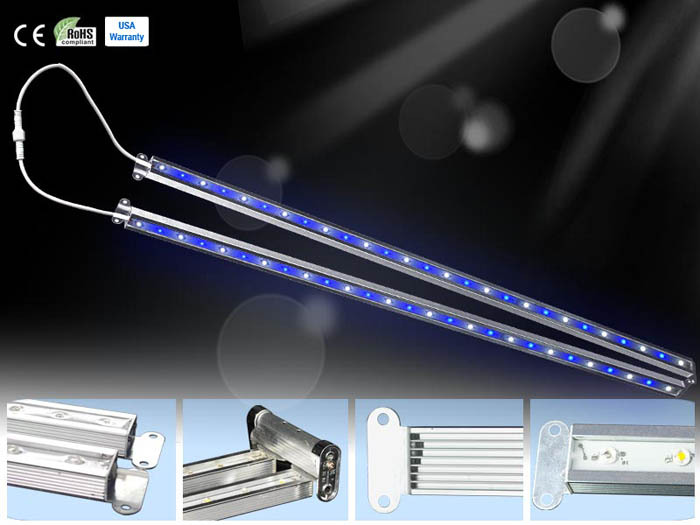 A couple of weeks ago, WingoLED provided a sneak preview of the WingoLED Actinic 2.0 LED Light Bars. WingoLED has made several improvements over their original model. They improved heat dissipation while using 1W LEDs for increased output. WingoLED also upgraded their materials for improved durability and water proofing. The Light Bars are available with either 60 or 90 degree optics. The 60 degree model is designed for hobbyists who want more punch and less spread, while the 90 degree options works well for nano/pico where the LED strip will be mounted low and require complete tank coverage. Note: Actual prices may be lower. i need a magenta led light can you help me find one? Search for Ecoxotic magenta stunner strips.